Pleasanton, CA — December 21, 2018 — NextHome is proud to announce our newest addition to the franchise, NextHome Realty By Design. The brokerage represents the eighth office location opened in the state of Oregon for the NextHome franchise. The company will be led by owner/operator Kasia Trammell. Additionally, she will have veteran real estate icon Debbie Rainforth on the leadership team as the principal broker for the company. The Oregon City brokerage will serve clients in cities across Clackamas County such as West Linn, Lake Oswego, Gladstone, Milwaukie, Canby, Happy Valley, and the remainder of the Portland metropolitan area. The agents at NextHome Realty By Design will provide services such as first-time home buyer representation, investor purchases, multi-family purchases and sales, land representation, relocation services, foreclosure and short sales services, real estate design and development, and new construction. Originally from Poland, Kasia comes from a background of architecture and design. Back in Poland, she studied at a technical high school with a focus on the homebuilding process. In pursuit of a new adventure, she ended up moving to the United States and working as an au pair, where she learned English through a host of new experiences. She enrolled at Portland State University, where she earned a degree in architecture – all while in the midst of her first pregnancy. After earning her degree, she and her husband, Sky, made the move to Oregon City where they started building their own individual businesses. Sky is an entrepreneur who started the international ATM distribution business, Puloon USA. Simultaneously, Kasia started the very successful design and real estate remodeling firm Realty By Design. Thirteen years later, both businesses are thriving and have made a mark in their local community.“Sky and I made the decision to not only have our own personal businesses that we fully support one another in, but we even have our companies share the same building,” said Kasia with a smile. Kasia not only has a commitment to the community, but to the environment as well. She has her Green Housing Certification and very much believes in re-using materials that protect the environment. NextHome Realty By Design is a boutique brokerage filled with repurposed furniture from all-natural or recycled materials. Her designer’s touch and eye towards sustainability have taken old pieces of material and created beautiful furniture with materials that would have otherwise been thrown out. Kasia found her connection to the NextHome franchise to be one of shared vision of how real estate should be done. When not selling real estate, Kasia and Sky do everything based around family. They have three children – daughters Ionye (age 8), Oriah (7) and son Makai (3). The family loves spending time together and enjoying the natural beauty the Pacific Northwest has to offer. Please join us in congratulating Kasia, Debbie and the rest of the team at NextHome Realty By Design on their brand new NextHome office location! Pleasanton, CA — August 31, 2018 — NextHome is proud to announce our newest addition to the NextHome franchise – NextHome Living The Northwest – Sandpoint Branch. This will be the third NextHome location opened by the franchisee. NextHome Living The Northwest opened its first location in Post Falls, Idaho in March 2017, and just three months later, they opened their second location in Spokane, Washington. This branch location of NextHome Living The Northwest will be located in Sandpoint, Idaho. The new office will provide real estate services such as residential sales, investment property sales, land sales, resort properties, and second home sales. Sandpoint is a destination where many visitors come to ski at one of the nation’s premier ski resorts, Schweitzer Mountain Ski Resort. All three NextHome Living The Northwest locations sit on or near the Washington/Idaho border and will serve the needs of residents in both states. In Washington, the office will cover Spokane, Liberty Lake, Spokane Valley, Cheney, Deer Park, Mead, and Medical Lake. The Idaho brokerages will cover Sandpoint, Hayden, Rathdrum, Spirit Lake, Kellogg, Wallace, Post Falls, and Coeur d’Alene. The NextHome brokerage will be owned and operated by the husband and wife team of Mike and Sheryl Van Dinter. Mike will be the Designated Broker for the company and will handle the day-to-day operations, while Sheryl will be in charge of the accounting and financial operations. The Van Dinters found it the right time to expand when they found great agents to join the brokerage. 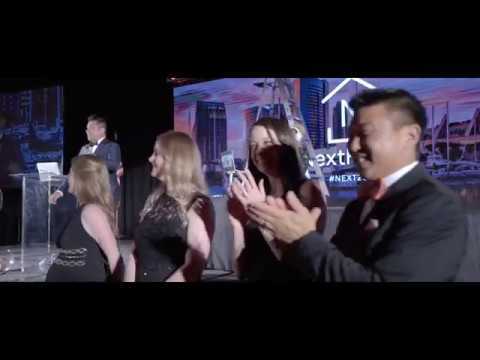 Top-producing REALTOR® Jake Humble, as well as the successful Davies Team, are just a couple of examples of talented agents that are a part of the NextHome Living The Northwest group. As real estate investors for nearly 20 years, the Van Dinters have been involved in both commercial and residential real estate. Realizing he wanted to be more hands-on with the selling process, Mike attained his real estate license in 2014. By being more involved on the sales side, Mike enjoyed it and saw an opportunity. Knowing they would need to add technology and tools to set the brokerage apart from other local real estate offices. After researching several real estate franchises, the choice was obvious. Additionally, the company will focus on deep relationships with members of the community. “At NextHome Living The Northwest, it’s about helping families – not pushing files,” added Sheryl. When not selling real estate, the Van Dinters focus on family. Married for 43 years, Mike and Sheryl have two children and six grandchildren. Mike has been flying airplanes for nearly five decades and often flies the family to various vacation destinations. They are also Certified Scuba Divers and enjoy time in the water on their boat. Please join us in congratulating Mike, Sheryl, and the rest of their team at NextHome Living The Northwest for the opening of their third NextHome office!